Activated sludge systems with up to 10 different reactors in series (aerobic, anoxic, anaerobic), including sludge return and internal recirculation streams, batch reactors, chemostat reactors, etc. 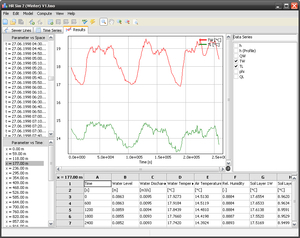 The program allows for the definition of process control loops (simple proportional controllers and on/off type binary controllers) and dynamic simulation of load variation (diurnal or seasonal load variation, temperature variation, variation of operational parameters such as aeration, excess sludge removal, recycle rates etc.). 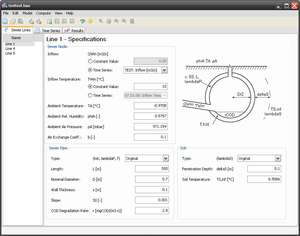 Data analysis is supported by the possibility to compare observed data with simulation results in easy to use graphic support routines. Simulated results may be exported to spreadsheets for further treatment. A menu driven user interface with context sensitive help information (by pressing F1 key), graphic support and simple file handling makes the program easy to use in class rooms, research and commercial applications. The special feature of ASIM is that biokinetic models (the different materials or components used to characterize the wastewater and the transformation processes with relevant stoichiometry and kinetics) may be freely defined, stored and edited by the user. This allows the researcher to develop his own specific model and it allows the student to learn modelling by stepwise increase of model complexity. Simple as well as complex models are distributed together with the program in the model library. The distribution file includes copies of the Activated Sludge Model No.1 (adapted), No.2d as well as ASM3 as proposed by the IAWQ Task Group for Mathematical Modelling for Design and Operation of Biological Wastewater Treatment. The teaching and research version of ASIM 5 is now available free of charge. The commercial version of ASIM 5 is available for CHF 2000. Dissolved organic matter consists of organic compounds, mainly of natural origin. Although it is only present in trace amounts in surface waters, organic matter influences the fate of contaminants. Under the action of sunlight, it can either increase or decrease the rate at which contaminants are degraded. and anyone who is engaged in construction, refurbishment, operation and optimation of biological sewage treatment plants. Complex biotechnological processes are applied in current municipal domestic wastewater treatment. Dynamic simulation of critical process conditions can help to prevent operational failure or to determine load limits and spare capacity. Thus an optimal performance of these complex processes even under difficult circumstances can be ensured. The common way of dimensioning biological wastewater treatment systems is to use static models and calculations. Rules of thumb along with calculations are applied to describe operational conditions that can be compared to real situations. However, these static models cannot cope with time variation. The effects of time-related phenomena can be described by dynamic simulation only. ASIM 5 allows for the dynamic simulation of diurnal load variation, peak loads, specific operating conditions, etc. The effects of such variations on any process parameter of the plant can be investigated. The simulation is based on the biokinetic model. Both simple and complex models are issued in a model database that comes along with the program. The distributed version includes copies of the Activated Sludge Model No.1, No. 2, and No. 3, as proposed by the IAWQ Task Group for Mathematical Modeling for Design and Operation of Biological Wastewater Treatment. In addition, the model database contains versions of the IAWQ Models No. 2 and No. 3 that have been modified by EAWAG/ETH. The special feature of ASIM is that biokinetic models may be freely defined, stored and edited by the user. 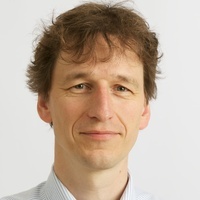 The program has been developed under the supervision of Prof. Willi Gujer at the Institute for Hydromechanics and Water Resources Management, ETH Zurich. The latest scientific insights and simulation models have been integrated in the current version ASIM 5.
dynamic simulation of load variation, process alteration and adjustment of operational parameters such as aeration, excess sludge removal, recycle rates, etc. analysis and simulation of activated sludge systems with up to 10 different reactors in series, including biological phosphorus removal, return sludge, internal recirculation, batch reactors, chemostatic reactors, sequencing batch reactors, etc. 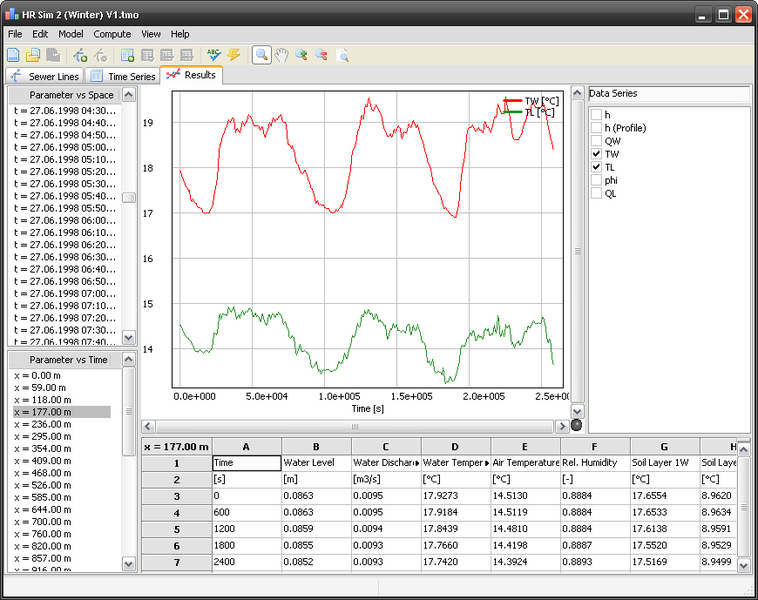 TEMPEST is a simulation program, which allows for the simulation of dynamics of the wastewater temperature in sewers in connection to heating with wastewater. TEMPEST is an interactive simulation program for temperature estimation in sewers. It can be used to calculate the dynamics and longitudinal spatial profiles of the wastewater temperature in sewers. Applications range from simple steady state estimations of the changes of the wastewater temperature in a single sewer line to full scale simulations of the dynamics of the wastewater temperature in successive sewer lines with lateral inflows. The current program version of TEMPEST is "Version 1.02". In order to receive the TEMPEST executable file, please fill out the download form. Raw wastewater contains considerable amounts of energy that can be recovered by means of a heat pump and a heat exchanger installed in the sewer. The technique is well established, and there are approximately 50 facilities in Switzerland, many of which have been successfully using this technique for years. The planning of new facilities requires predictions of the effect of heat recovery on the wastewater temperature in the sewer because altered wastewater temperatures may cause problems for the biological processes used in wastewater treatment plants and receiving waters. A mathematical model is presented that calculates the discharge in a sewer conduit and the spatial profiles and dynamics of the temperature in the wastewater, sewer headspace, pipe, and surrounding soil. The model was implemented in the simulation program TEMPEST and was used to evaluate measured time series of discharge and temperatures. It was found that the model adequately reproduces the measured data and that the temperature and thermal conductivity of the soil and the distance between the sewer pipe and undisturbed soil are the most sensitive model parameters. The temporary storage of heat in the pipe wall and the exchange of heat between wastewater and the pipe wall are the most important processes for heat transfer. The model can be used as a tool to determine the optimal site for heat recovery and the maximal amount of extractable heat. TEMPEST is a new interactive simulation program for the estimation of the wastewater temperature in sewers. 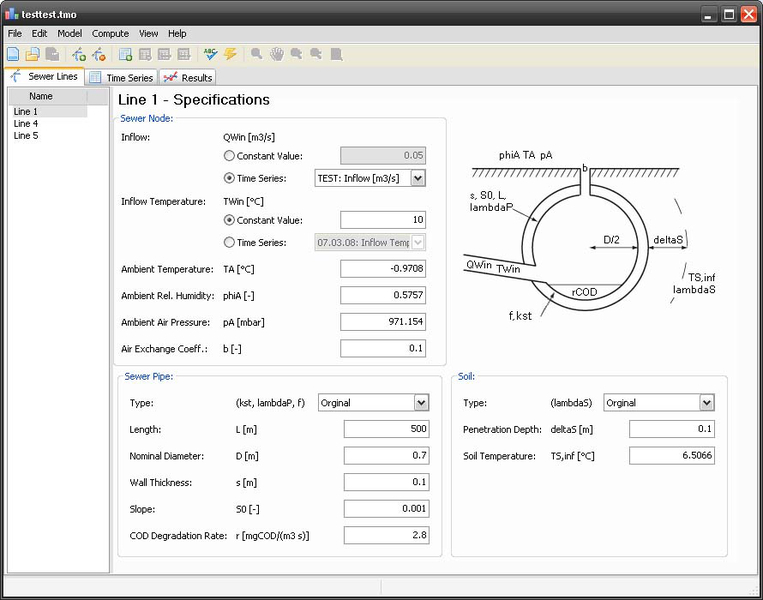 Intuitive graphical user interfaces assist the user in managing data, performing calculations and plotting results. The program calculates the dynamics and longitudinal spatial profiles of the wastewater temperature in sewer lines. Interactions between wastewater, sewer air and surrounding soil are modeled in TEMPEST by mass balance equations, rate expressions found in the literature and a new empirical model of the airflow in the sewer. TEMPEST was developed as a tool which can be applied in practice, i.e., it requires as few input data as possible. These data include the upstream wastewater discharge and temperature, geometric and hydraulic parameters of the sewer, material properties of the sewer pipe and surrounding soil, ambient conditions, and estimates of the capacity of openings for air exchange between sewer and environment. Based on a case study it is shown how TEMPEST can be applied to estimate the decrease of the downstream wastewater temperature caused by heat recovery from the sewer. Because the efficiency of nitrification strongly depends on the wastewater temperature, this application is of practical relevance for situations in which the sewer ends at a nitrifying wastewater treatment plant. For general enquiries please send an e-mail to tempest@cluttereawag.ch.